“Ancient DNA Research” is the practice of extracting, sequencing, and analyzing degraded DNA from dead organisms that are hundreds to thousands of years old. Today, many researchers are interested in adapting state-of-the-art molecular biological techniques and high-throughput sequencing technologies to optimize the recovery of DNA from fossils, then use it for studying evolutionary history. However, the recovery of DNA from fossils has also fueled the idea of resurrecting extinct species, especially as its emergence corresponded with the book and movie Jurassic Park in the 1990s. In this paper, I use historical material, interviews with scientists, and philosophical literature to argue that the search for DNA from fossils can be characterized as a data-driven and celebrity-driven practice. Philosophers have recently argued the need to seriously consider the role of data-driven inquiry in the sciences, and likewise, this history highlights the need to seriously consider the role of celebrity in shaping the kind of research that gets pursued, funded, and ultimately completed. On this point, this history highlights that the traditional philosophical and scientific distinctions between data-driven and hypothesis-driven research are not always useful for understanding the process and practice of science. Consequently, I argue that the celebrity status of a particular research practice can be considered as a “serious epistemic strategy” that researchers, as well as editors and funders, employ when making choices about their research and publication processes. This interplay between celebrity and methodology matters for the epistemology of science. Funding for this research was provided by the University College London (UCL) Overseas Research Scholarship, the UCL Graduate Research Scholarship, and the UCL Cross-Disciplinary Training Scholarship. Funding was also provided by the British Society for the History of Science, the History of Science Society, the UCL Department of Science and Technology Studies, the UCL Department of Genetics, Evolution and Environment, and the Division of Paleontology at the American Museum of Natural History. Thank you to Joe Cain and the Department of Science and Technology Studies, Mark Thomas and the Molecular and Cultural Evolution Lab, and Anjali Goswami’s Lab for their dedication to developing this research project. Most importantly, thank you to the scientists, my interviewees, who gave much of their time and thoughts to this project. This research would not be possible without the information, documentation, and quotations they openly provided. 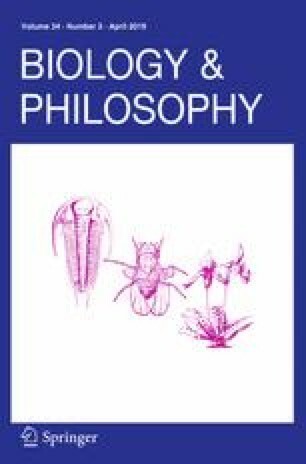 My appreciation also goes to colleagues at two workshops, the UK Integrated History and Philosophy of Science Workshop (2017) at the University of Nottingham in England and the Philosophy of Paleontology Workshop (2017) at the University of Calgary in Canada, where the ideas in this article were presented and discussed. In regards to the latter workshop, I am especially appreciative of Adrian Currie and colleagues who offered vital feedback on drafts of this article for this special issue. Finally, thank you to Lucy van Dorp for her corrections and comments, and thank you to the two reviewers whose thorough readings and recommendations have bettered the overall argument.